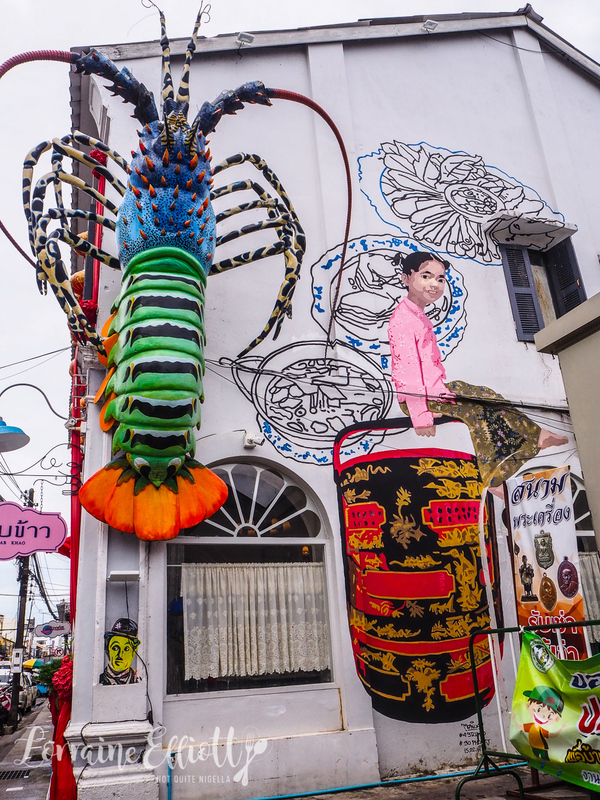 Phuket is more than just beaches, it is also home to its own unique Thai cuisine (Phuket was named a "City of Gastronomy" by UNESCO) and a romantically retro old town. 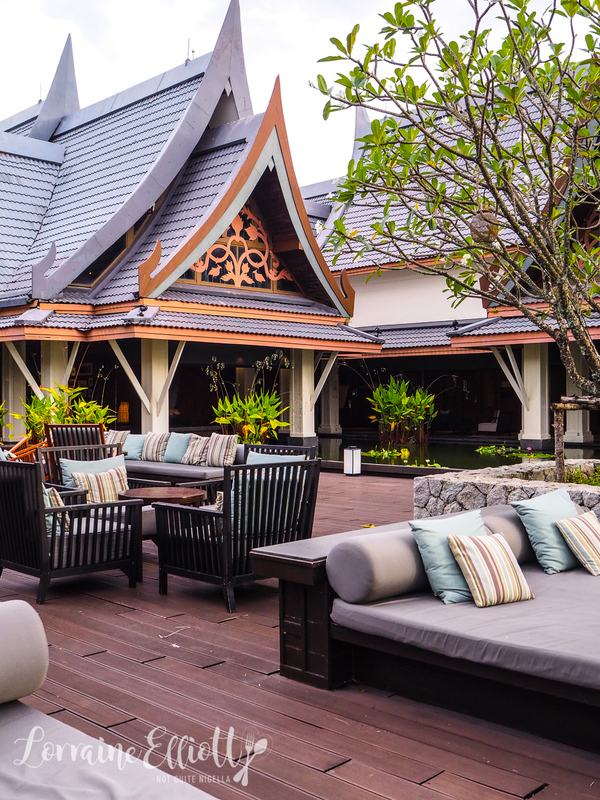 We also explore the Outrigger Phuket and its spacious beachside rooms. 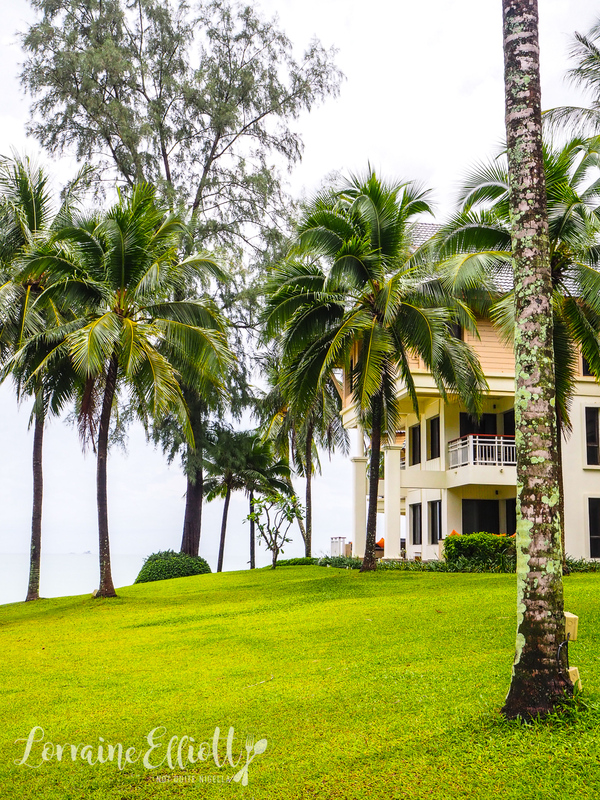 The sound of the surf is all that you hear at this tropical resort, nestled away in a private, gated community. Outrigger Laguna Phuket is located along Bangtao Beach and even when I arrive at 10:30pm I know the ocean is outside by seaside room because I can hear the waves breaking on the sand. The Outrigger property bears no resemblance to the old tin mine that sat here 30 years ago nor the Laguna Beach resort of 2012. 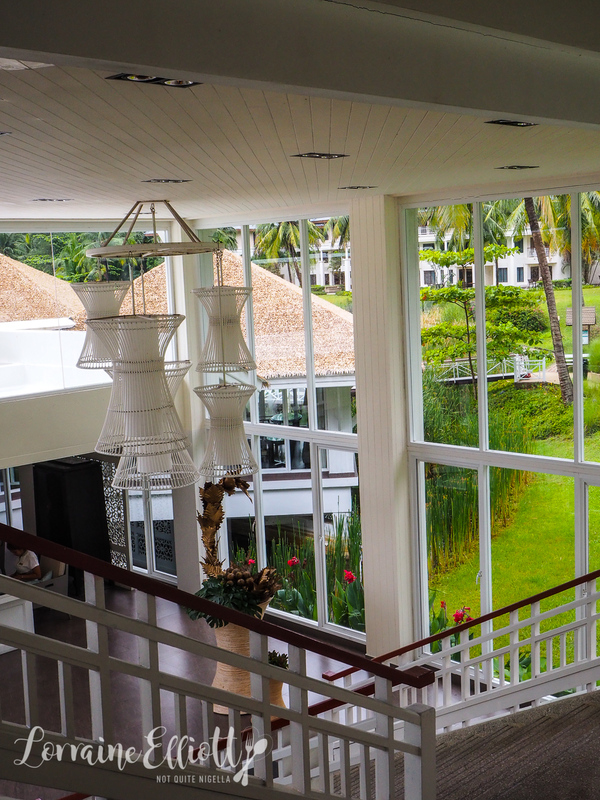 The wood panelled lobby is impressive and extensive and out yonder, if it were light, guests arriving can see the ocean. 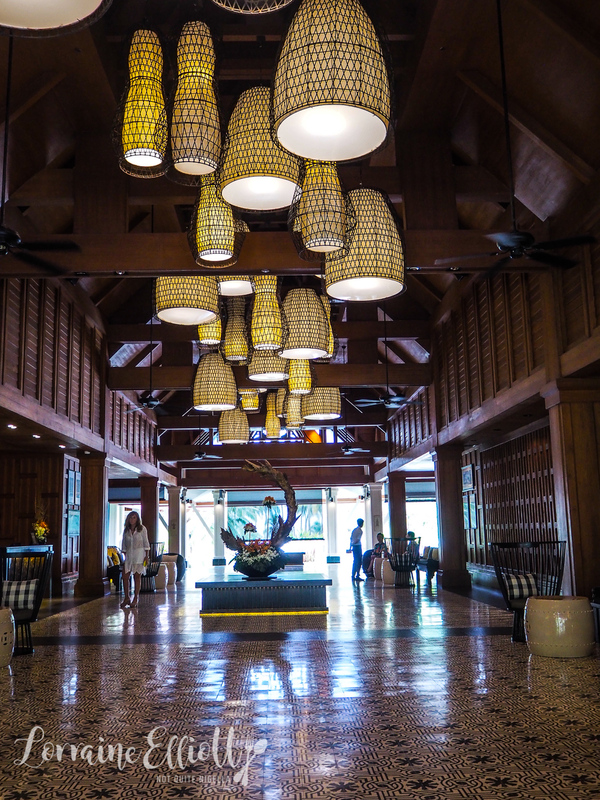 It was designed so that as soon as guests arrived they felt a connection to the water (all Outrigger Resorts worldwide are situated along the water). 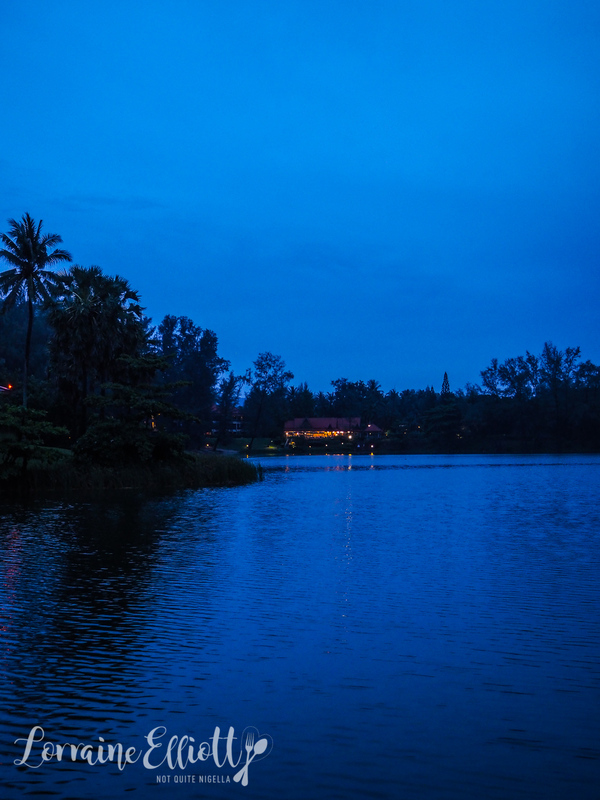 While the resort spans 7 acres, the footprint is relatively small so that it is only a few minutes to the main restaurant area from the rooms for any guest. 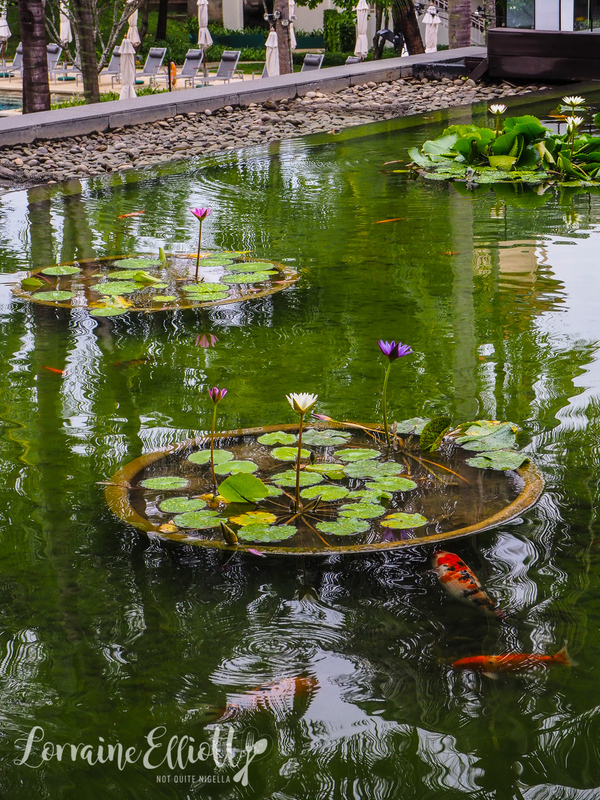 It is a family focused resort but also one that caters for couples and groups travelling together. 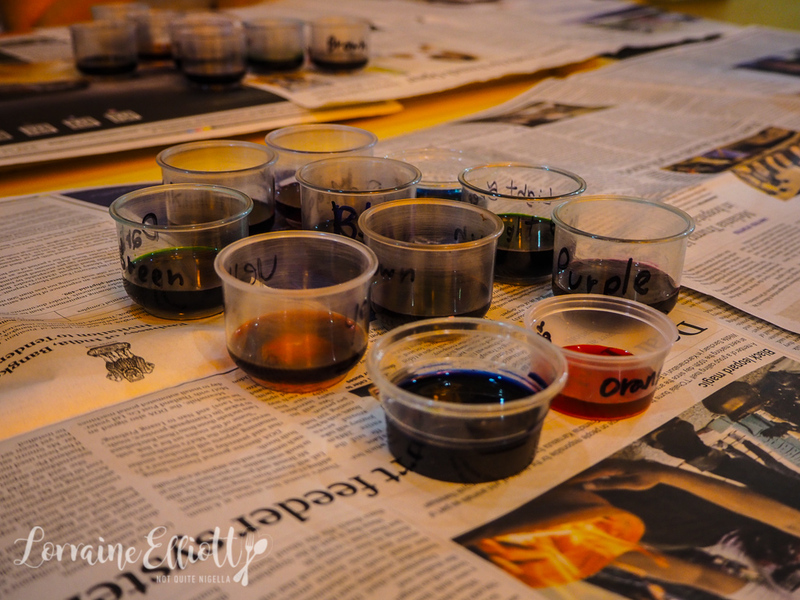 For families there is a kids club and an activities planner. Adults wanting to relax treat it as a "flop and drop". There are tennis courts, a squash court, sailing, SUP and non motorised sports included-and on Wednesday nights, people can play tennis with some local tennis players many of whom they share a beer with afterwards. There are just over 250 rooms at the Outrigger Laguna Phuket and my room, #439 is a corner king Ocean Front Balcony room with fantastic views of the beach below as well as the pool areas. At 43m2 it's a good size for a couple and lusciously roomy for just me. 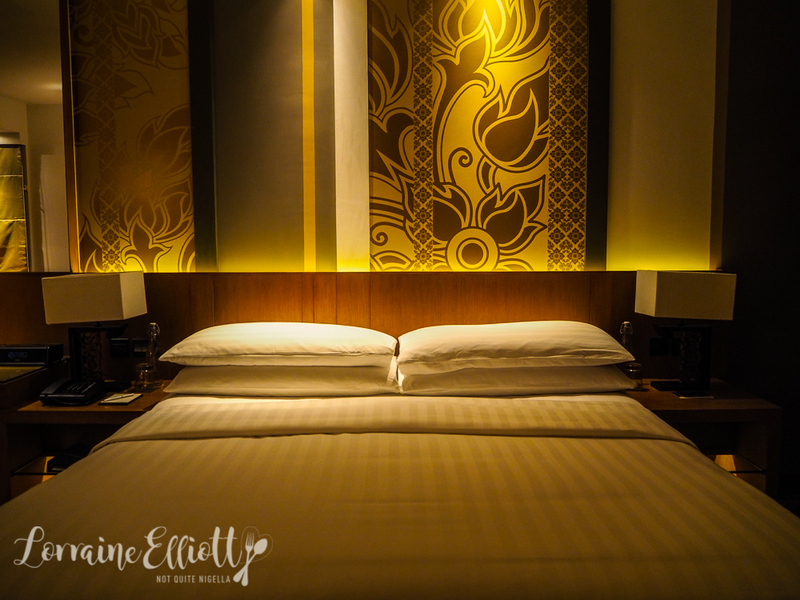 The king bed is firm but comfortable with ultra smooth sheets and a good range of comfortable pillows. As it is late they've performed turndown with soft slippers and bottles of water by the bed. There is an indoor dining table for two as well as a work desk. My favourite feature is the enormous day bed that just calls me. There's also a small balcony with table and chairs. The bathroom has a single sink, aromatic Thai products in lemongrass and coconut scent and a sunken bath with a curved side if you want to indulge in any Cleopatra fantasies. 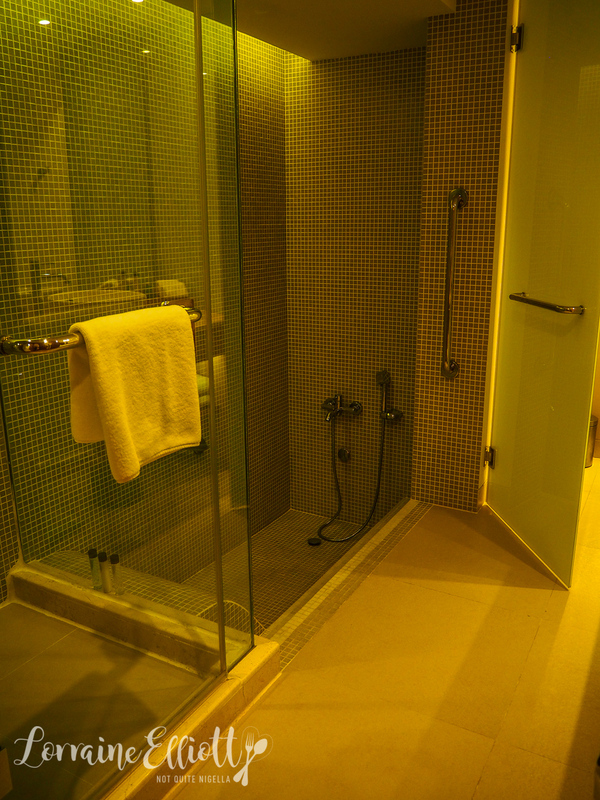 There's also a separate regular shower as well. As this is a club room, there is also access to the club lounge where you can have a relaxing breakfast, afternoon tea and evening cocktails. 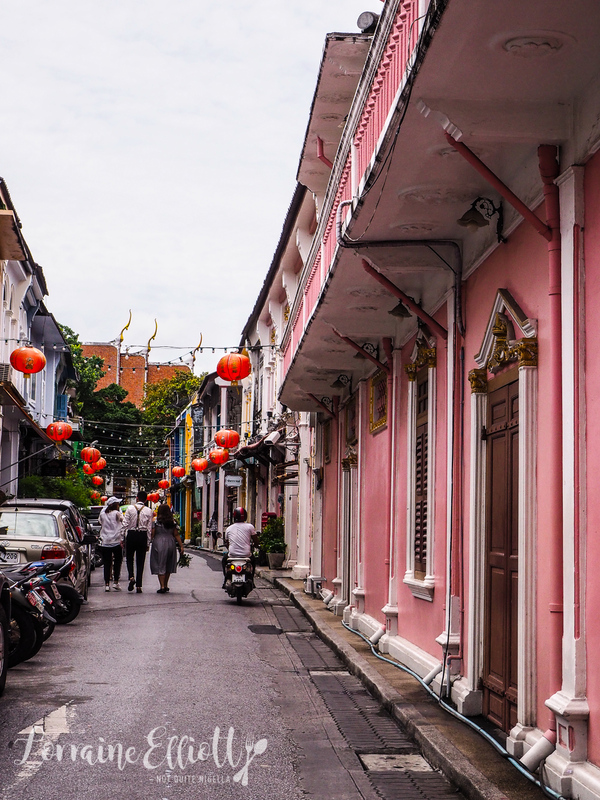 I am excited to explore Phuket's old town with Laguna tours to see the colourful Sino Portuguese architecture. 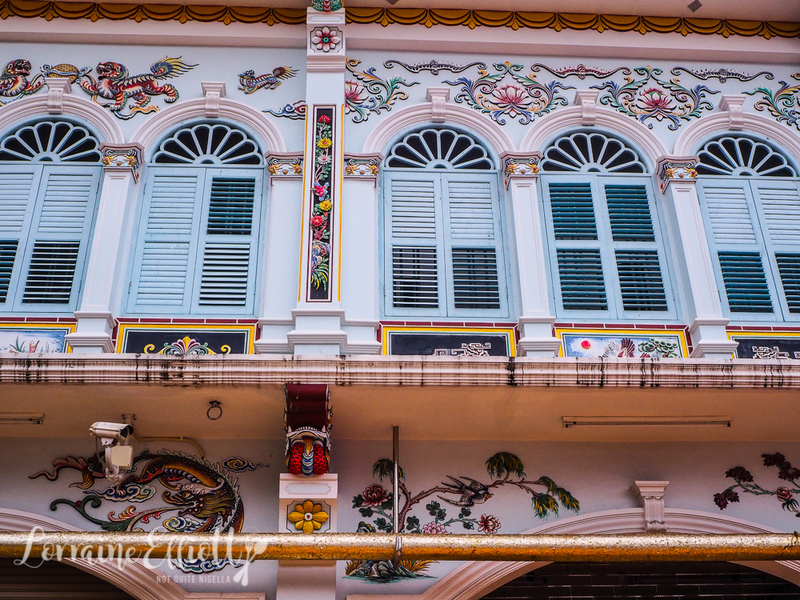 Even as recently as five years ago this area was rarely visited by tourists who preferred to lounge at the beach but a renovation of the Old Town area has spruced up the colourful buildings, rendering them retro photo ready. 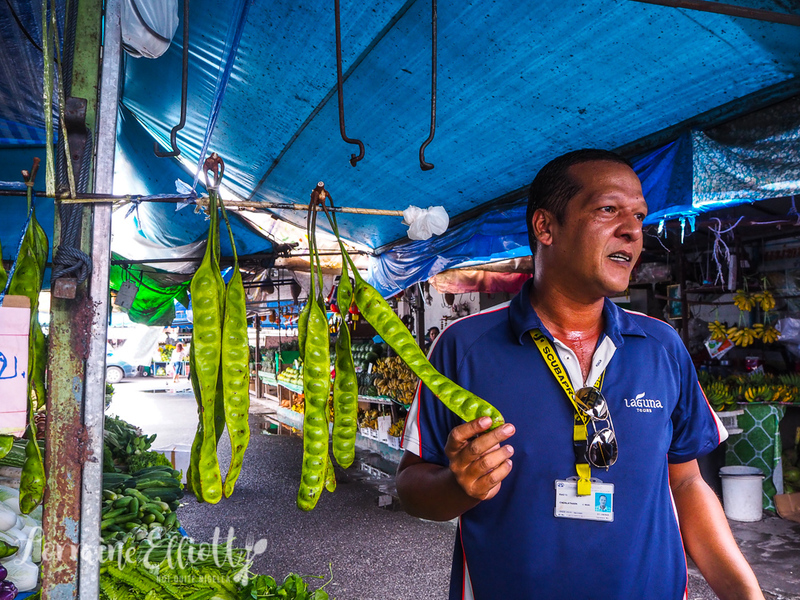 First we walk through the markets selling all sorts of colourful trinkets including amulets. These sacred items are used for prosperity, protection, safety and health and are made by monks, some amulets hundreds of years old. 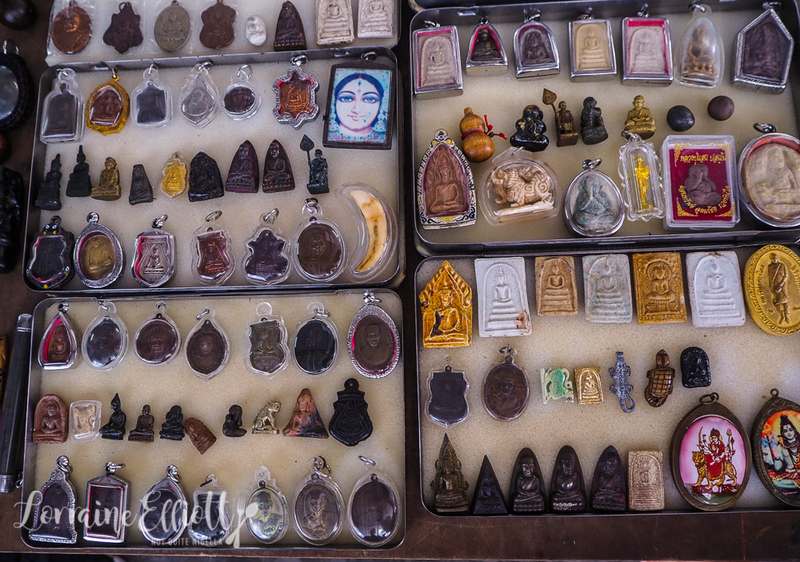 One can never buy or sell an amulet, these are rented and some are worth millions of baht. Our guide Gri points out a stand. "That is the hottest curry," he says but he won't let us try it no matter how much we ask. Instead we try some fresh durian. Thai durian is less aromatic than Malaysian and for some in our group it's their first try of the stinky fruit. 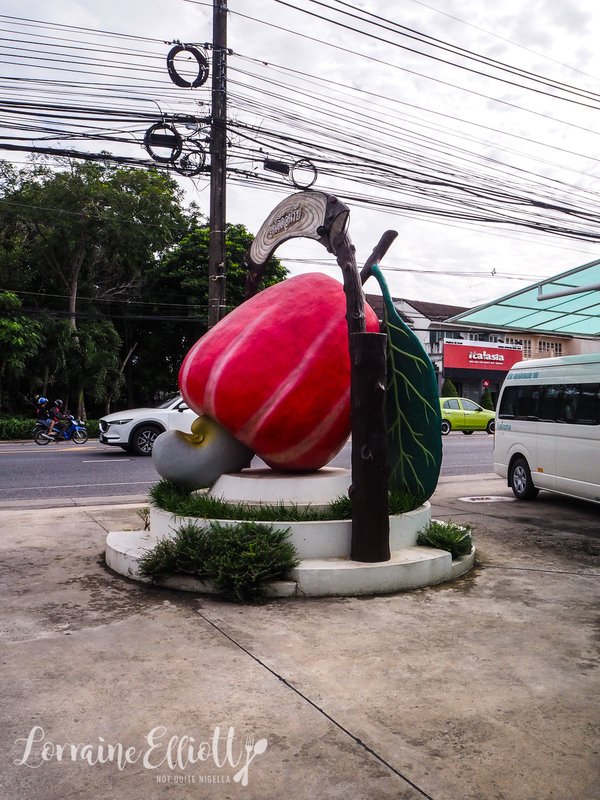 We then traipse down Thalang Road and Yaowarat Road where there are plenty of souveniers and coffee shops-you could spend the whole day wandering in and out of establishments. 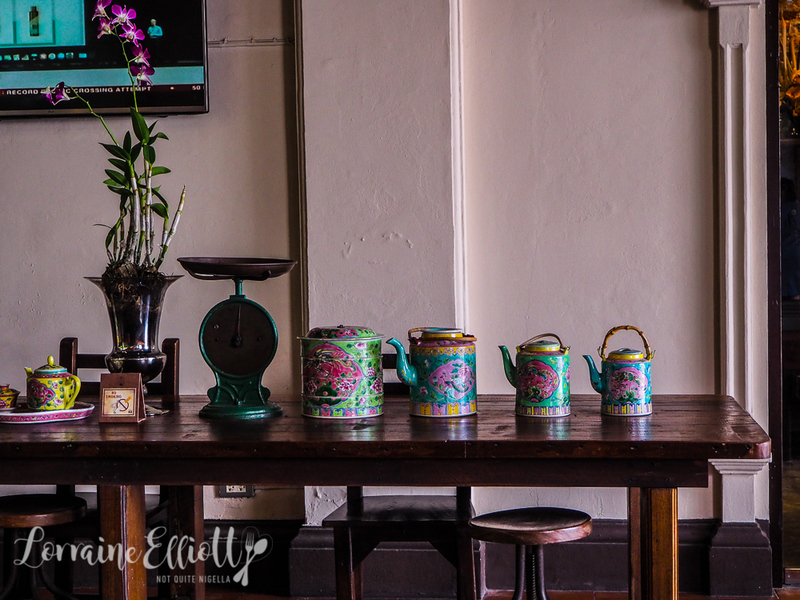 Is Am Are is a gorgeous enamel ware store that I remember buying a lot of items in during my last visit to Thailand - some are new, some vintage. 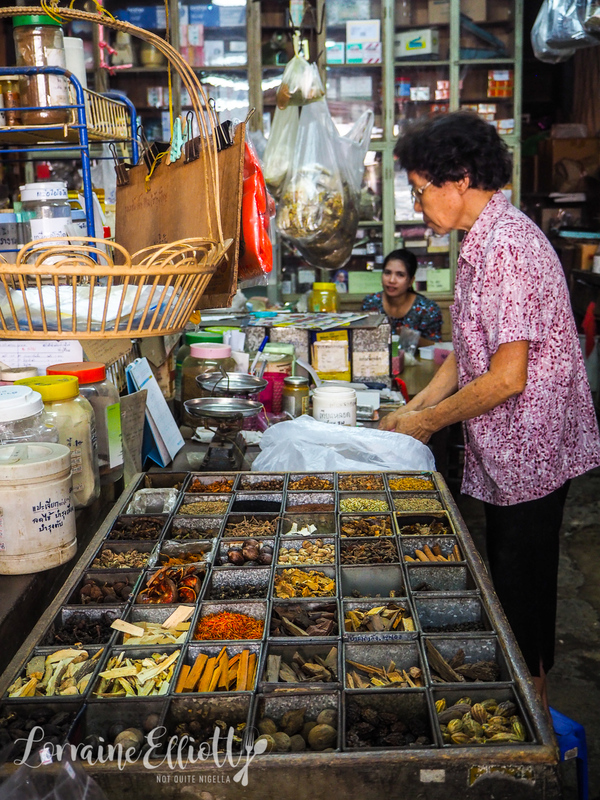 Shops sell Thai herbal medicines. 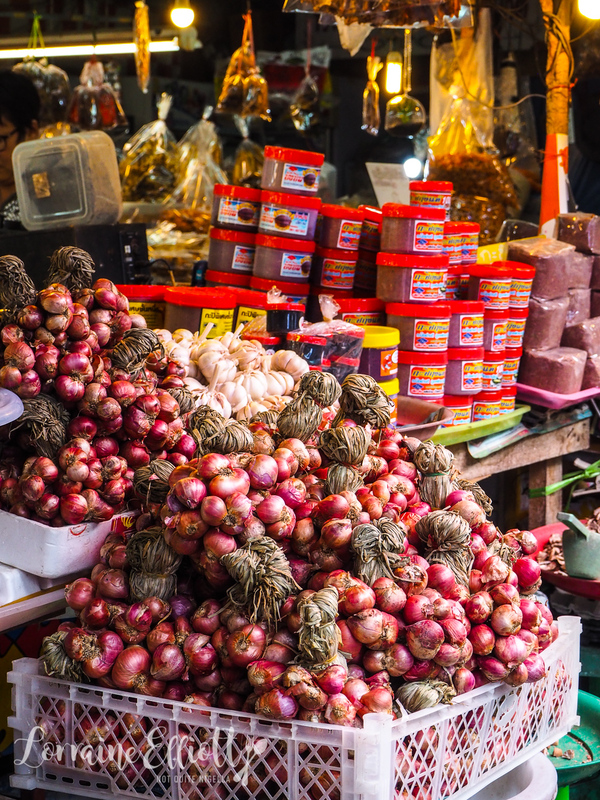 Phuket is home to its own cuisine -in fact it was named a "City of Gastronomy" by UNESCO. 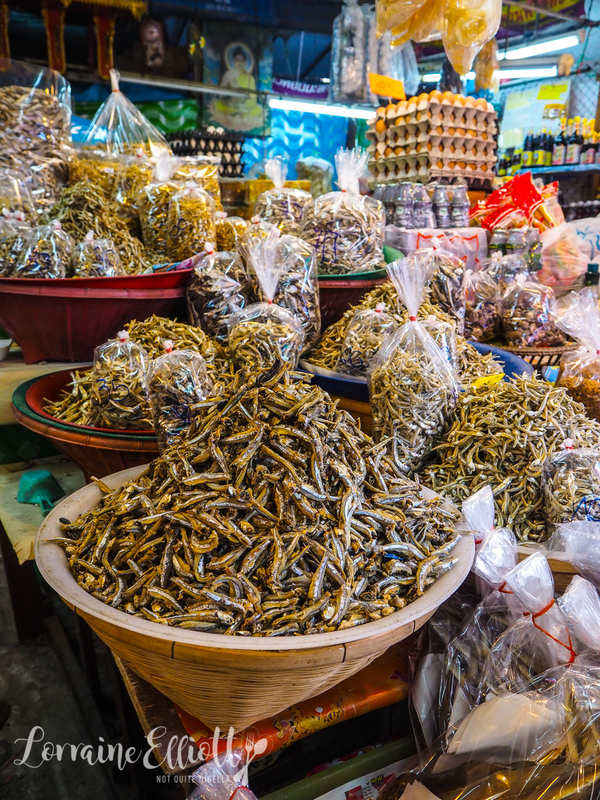 Seafood like anchovies and shrimp paste make souveniers for Thais living outside of Phuket. 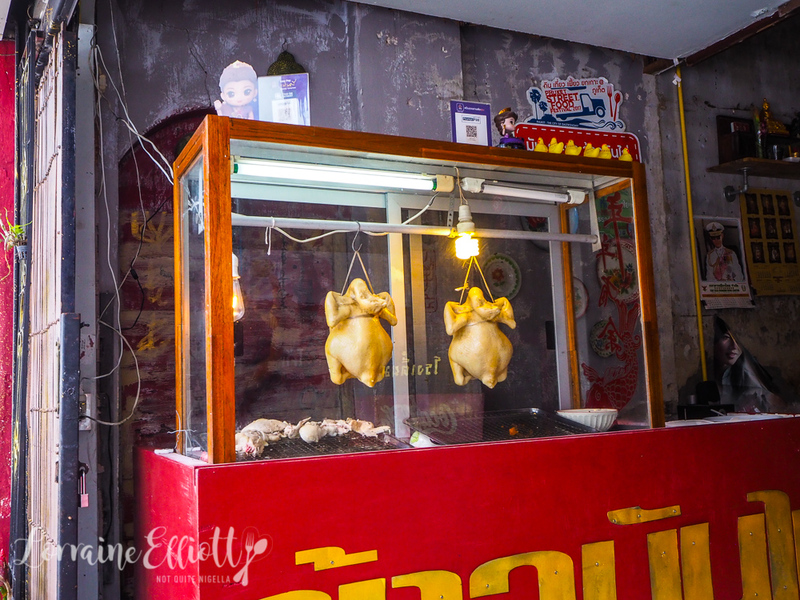 At One Chun in the old town you can try some of Phuket's most famous dishes. It's themed with clocks and has a retro vibe much like the rest of the town with wooden chairs and tables. 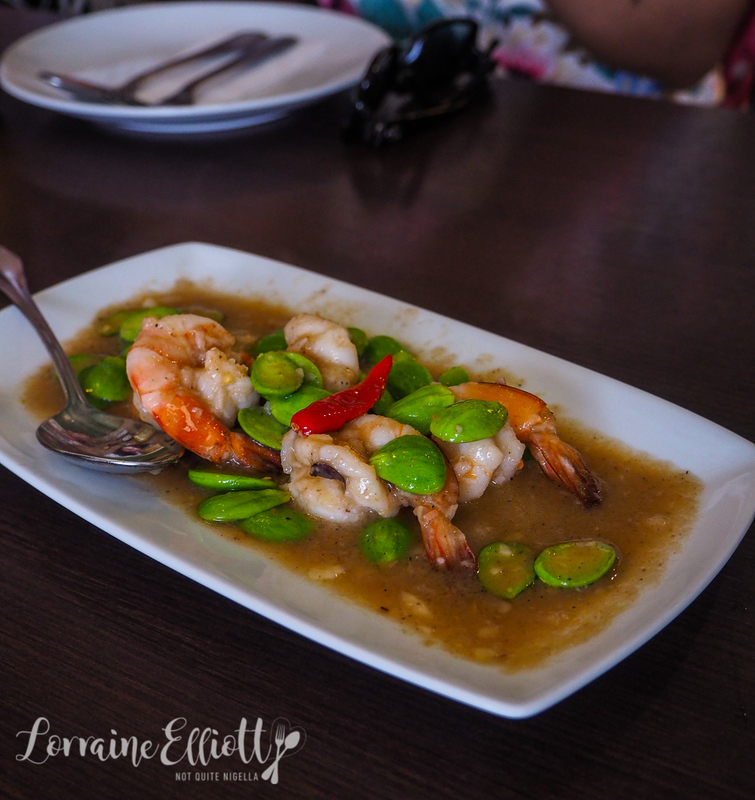 We try the Goong Pad Sator Prawn, a dish using shrimp paste mixed with the sator or bitter green pods-these are said to be good for people with diabetes. 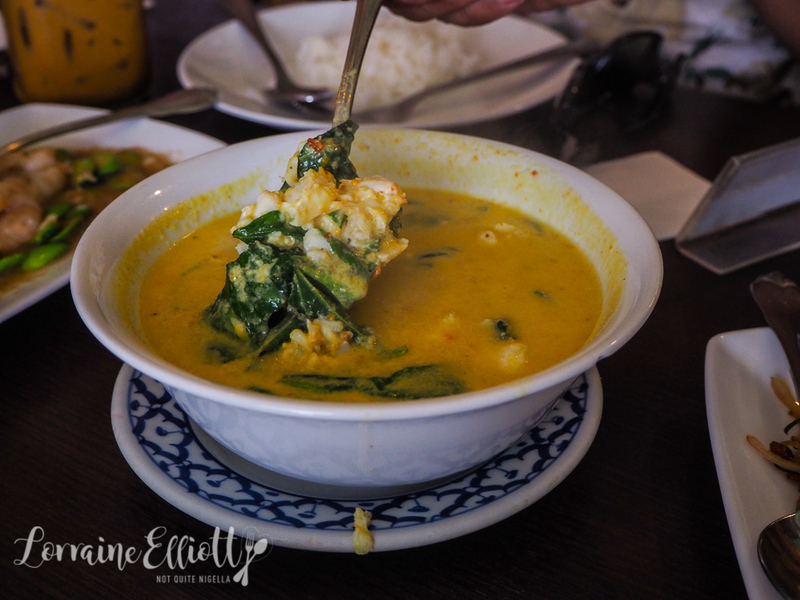 Crab or lobster is what this city is known for and here the crab curry is rich with crab pieces and greens. 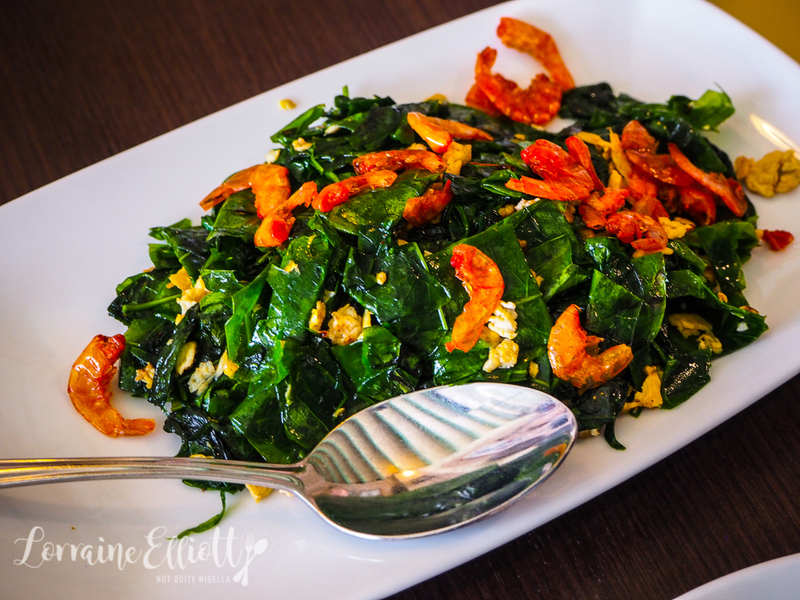 Pak miang is a spinach dish with the crispy dried shrimp. 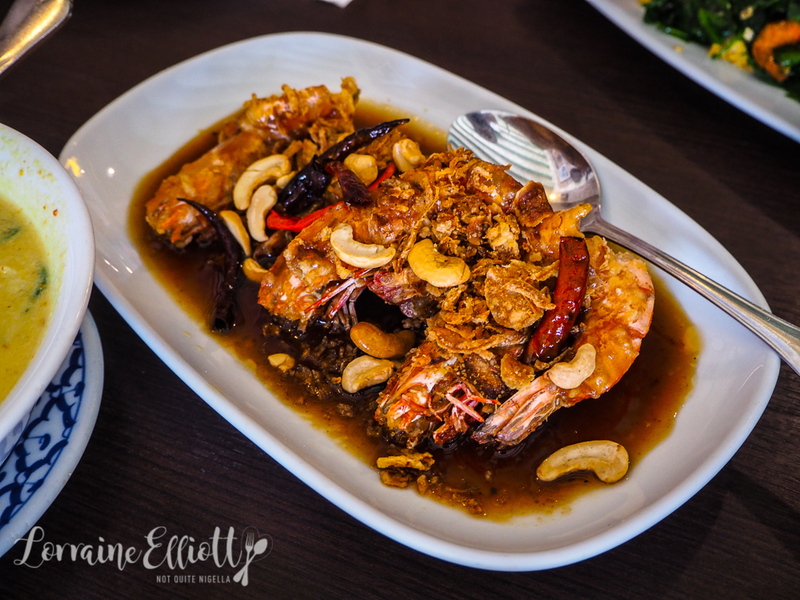 There are also delicious, enormous prawns with tamarind and cashews. I saved my two favourite dishes for last though. The Phuket style steamed pork belly comes with a thick, rich sauce and a wonderful depth of flavour from the blend of spices, black pepper and garlic. 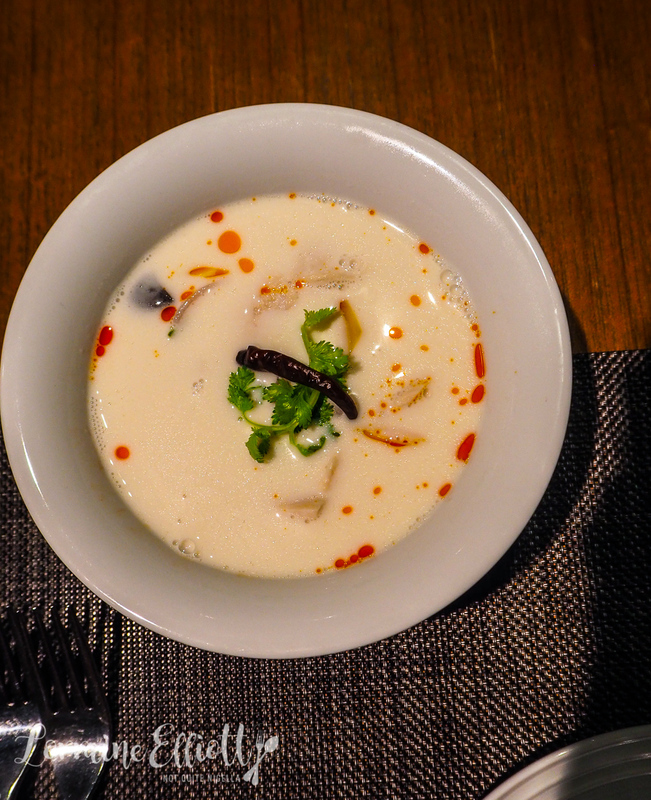 And Phuket is also known for a spicy, soup textured curry called Gaang Som Plah. 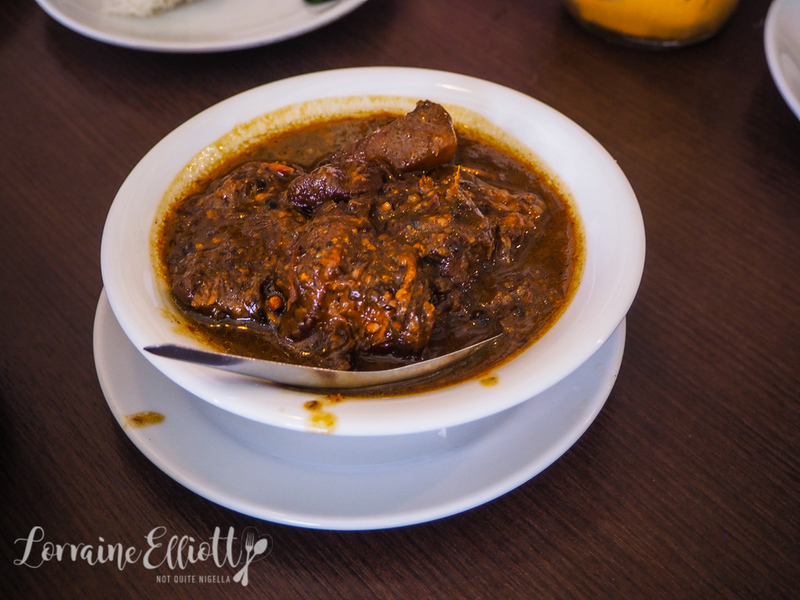 This uniquely Phuket curry is not often seen outside of Thailand but it is an absolutely gorgeous curry with squares of omelette and the heart of coconut which is wonderfully sour and spicy. And where is the heart of the coconut? It's at the top of the coconut where it connects to the tree. 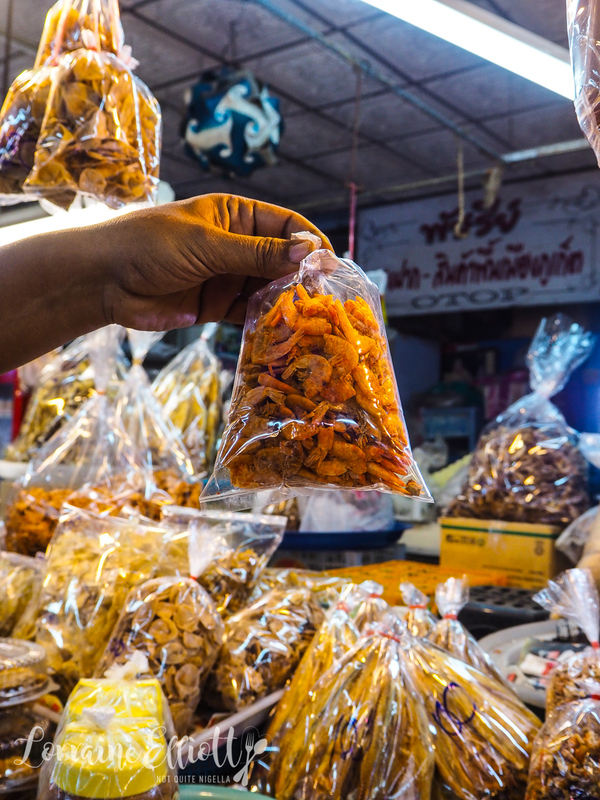 Our guide Gri tells us, "This is the soul of Phuket in one dish." There's also a stop at a cashew nut factory as it is cashew nut season. 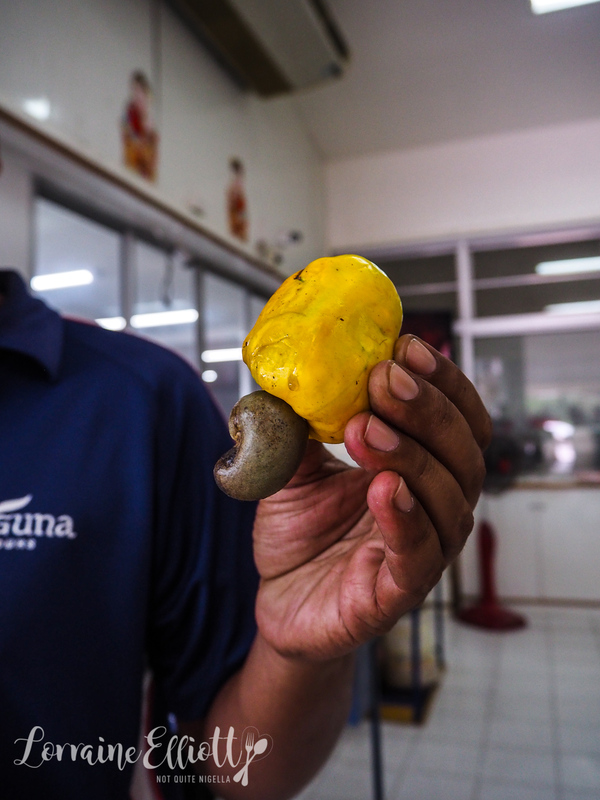 Each nut here is hand processed and each yellow bulb-shaped fruit bears a single nut which has to be cracked by gloved hands as the oils can be poisonous. They sell them here in a variety of flavours-my favourite is the spicy one. 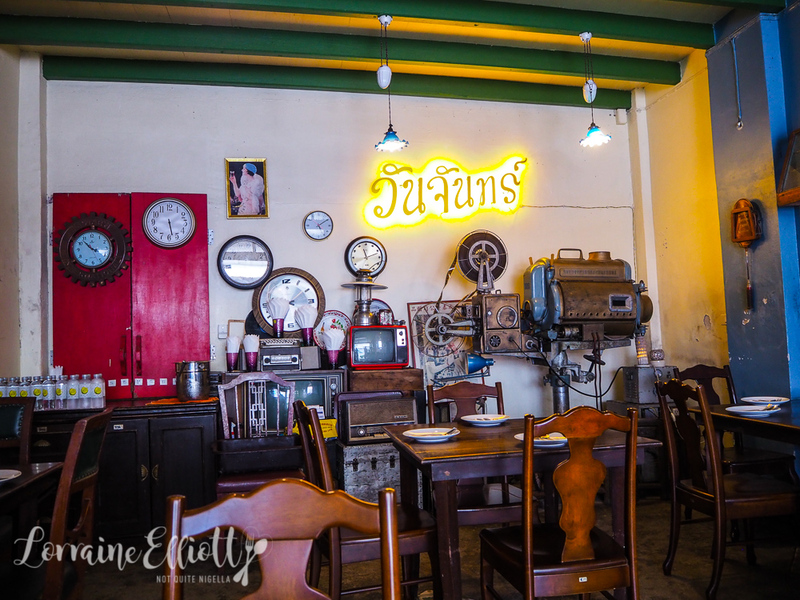 Phuket is normally not home to where you might expect to find a Scottish chef cooking Modern European food but Bampot (Scottish for hooligan or troublemaker) does just that. 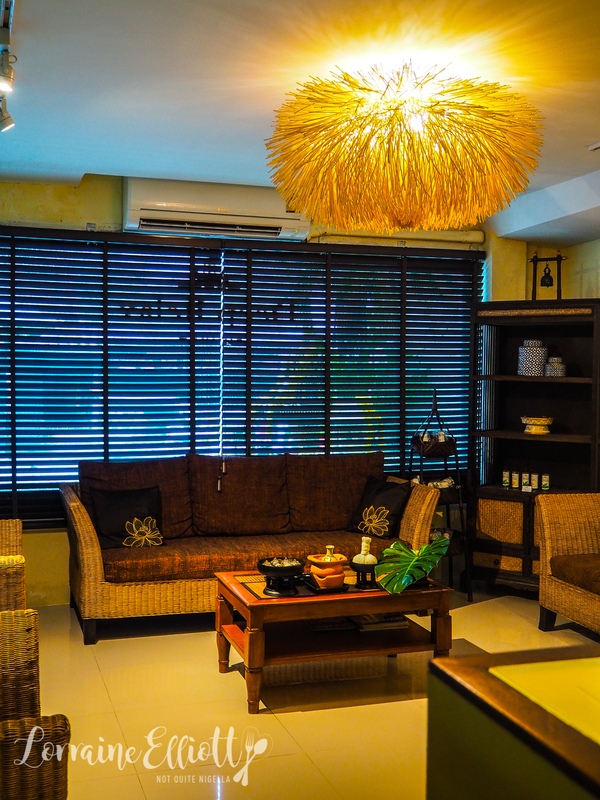 It is located at the cluster of restaurants and shops on Lagoon Road, Cherngtalay a few minutes' drive away. Chef Jamie Wakeford is behind Bampot and he is also opening up another restaurant Olta in Bangkok. 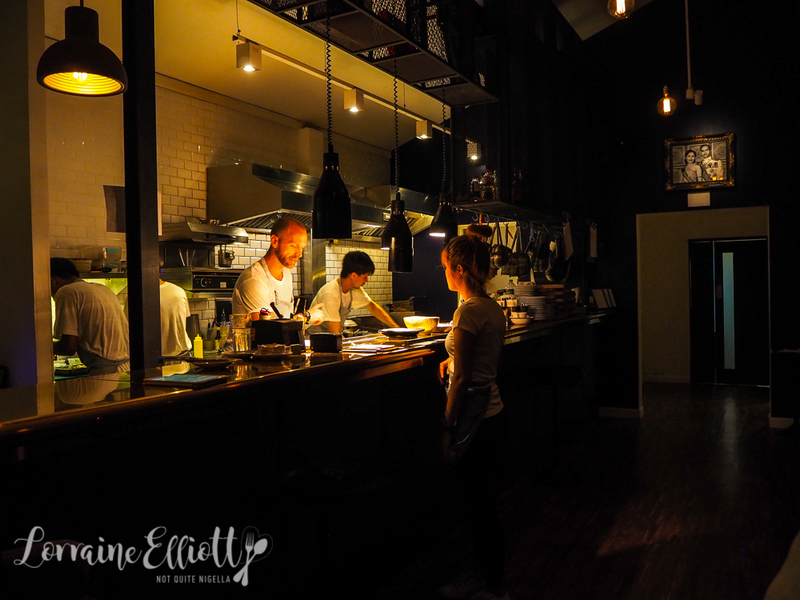 The restaurant is upmarket but approachable with warm lights, lots of glass and copper and an open kitchen. There's also an outdoor area where we situate ourselves sipping cocktails before we move inside. 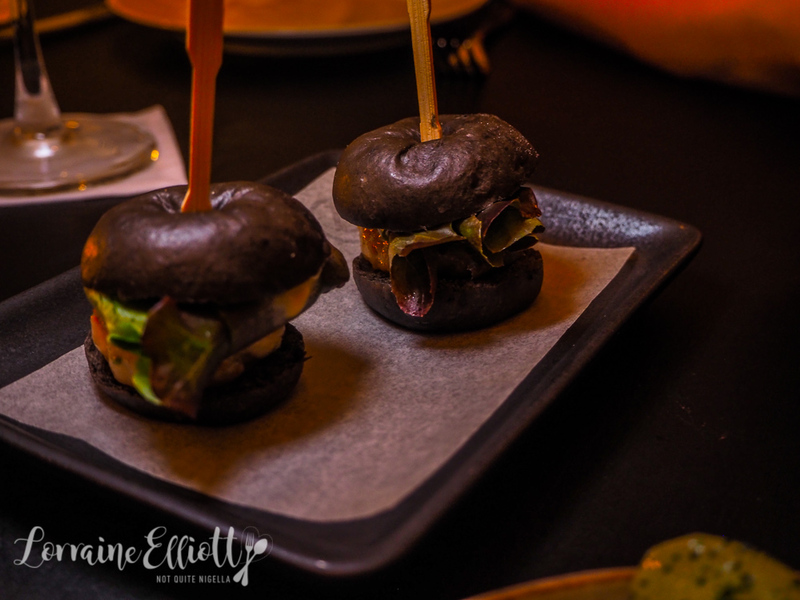 I love the bouncy texture of the prawn patties and the super soft charcoal buns with the prawn sliders. There's also pickles and aioli and these make for a great snack with drinks. 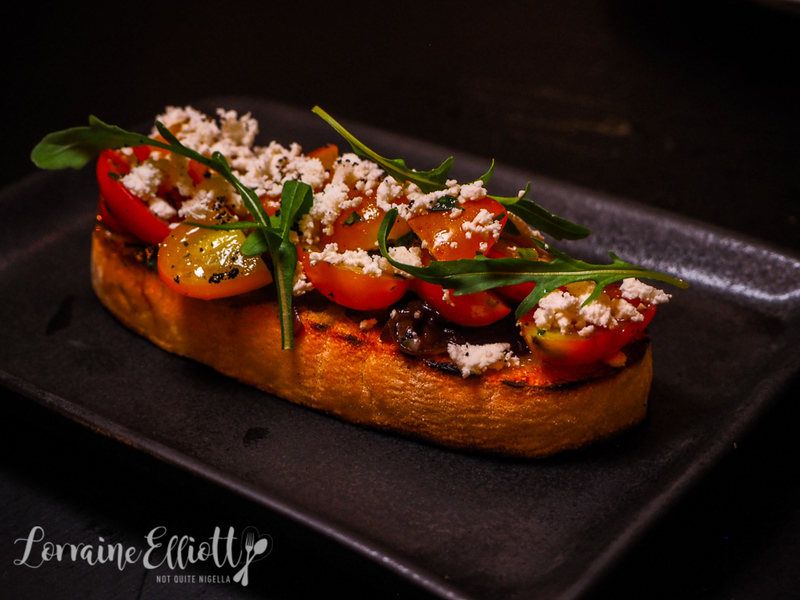 Vegetarians are well catered for here and the bruschetta has a gorgeous balsamic onion jam, rocket, crumbled feta and the sweetest organic cherry tomatoes. 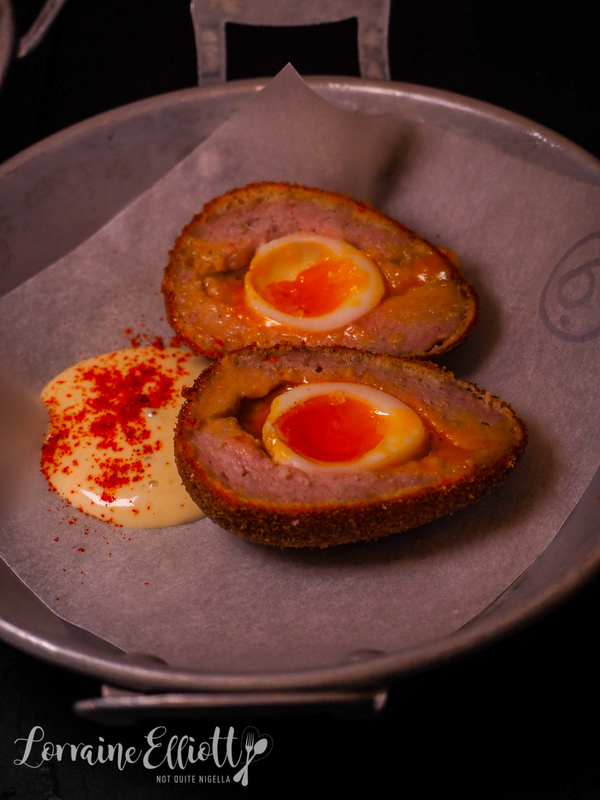 The Scotch egg is somewhat of a signature dish. This is a slight twist with a soft centered quail's egg in the middle with mustard mayonnaise. 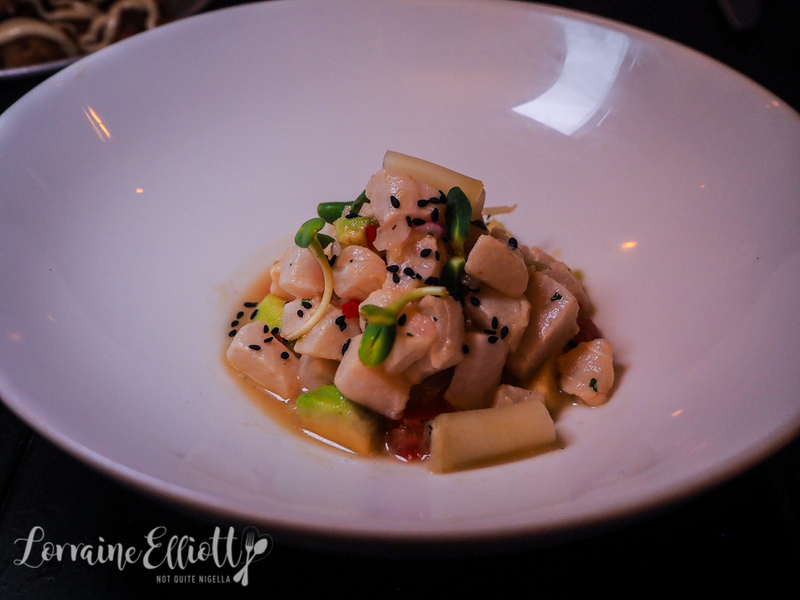 The Cobia ceviche is refreshing with lime juice, avocado, mango, fennel, chilli and sesame. 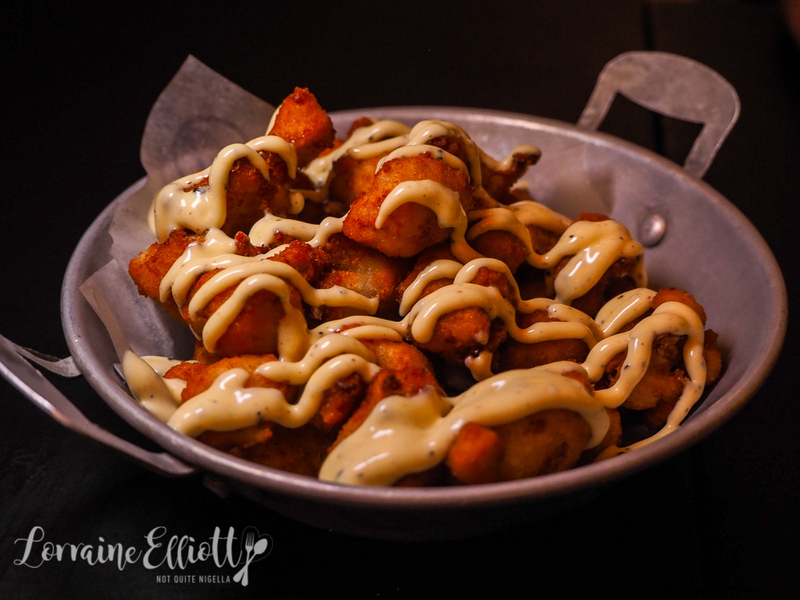 Whatever you do, you have to try the Thai Fried Cauliflower or TFC which is small florets of battered, deep fried cauliflower with a black truffle mayonnaise. They're terribly addictive and before you know it, the whole bowl has disappeared. It reminds me of the easy snackiness of popcorn chicken. Jamie tells us that the duck breast is close to what the restaurant would consider its signature main although he dislikes the term signature dish. 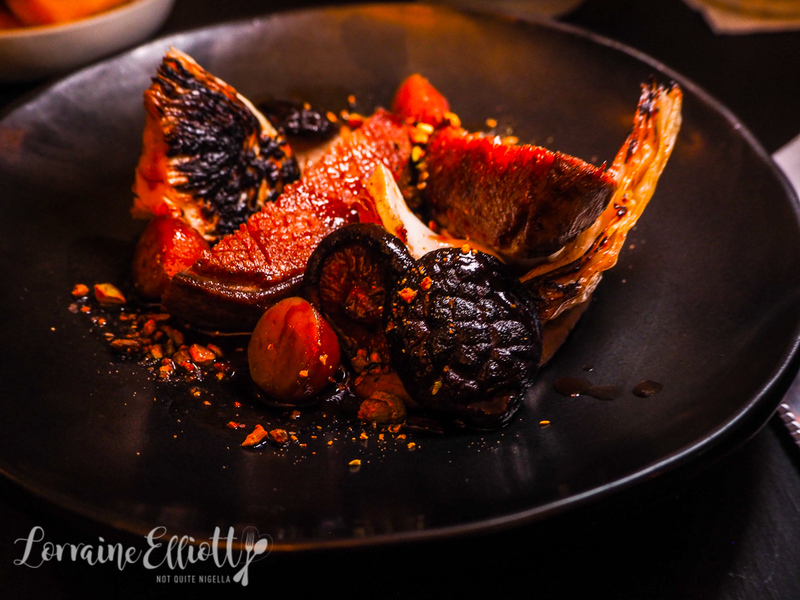 It comes out pink in the centre with pistachio, burn cabbage, apple and vinegar jus and is a good, solid duck dish. 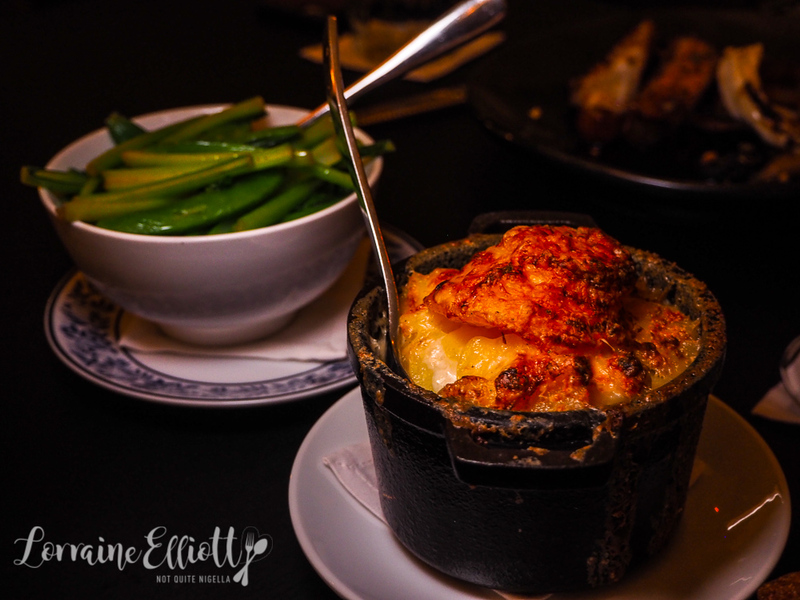 I am smitten with the fish pie which has a medley of snapper, salmon and prawn that is perfectly textured. 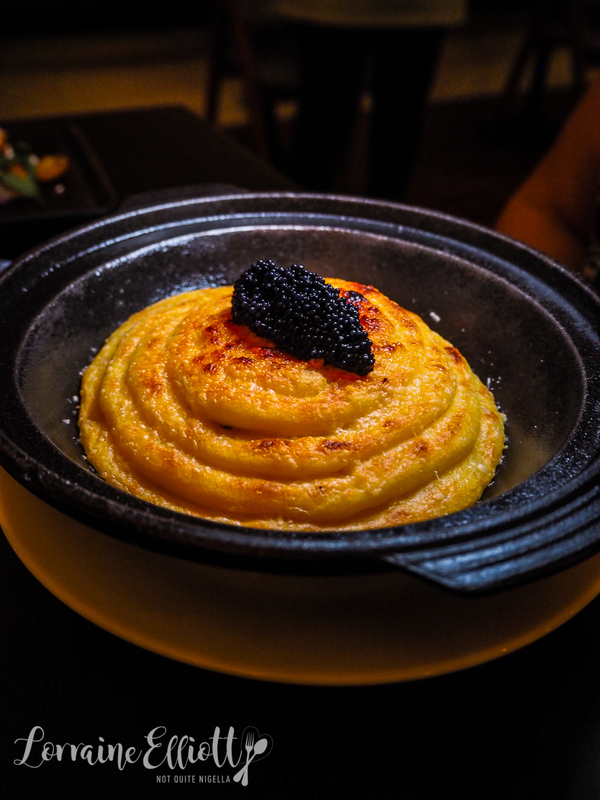 It comes with a layer of creamy mashed potato and a quennelle of black caviar on top. It's an indulgent but perfect rendition of a fish pie. 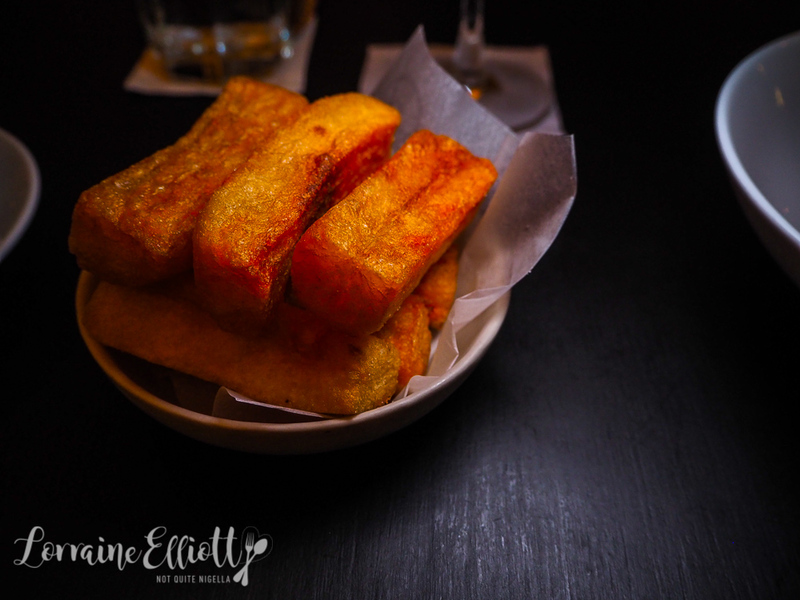 In terms of sides, the thrice cooked chips are good but not overly crispy while the potato gratin was my favourite of the sides that we ordered. We've got room for just one dessert to share! 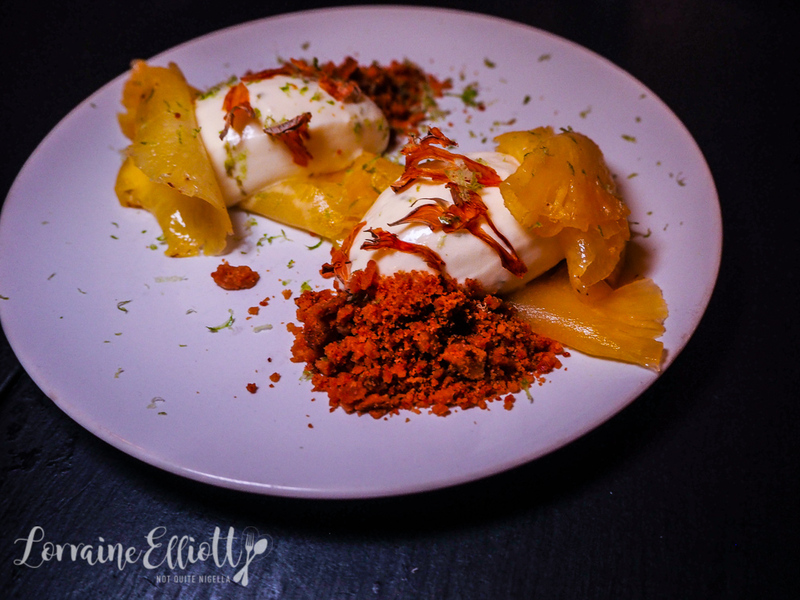 The lime cheesecake is a deconstructed one with light and airy creamy cheesecake topped with finely grated lime zest, gingerbread crumble and thinly shaved sweet pineapple. It's just what we need to finish off our meal. After a late rise and a bit of a work out in my room I feel like I have finally earned myself a good breakfast. 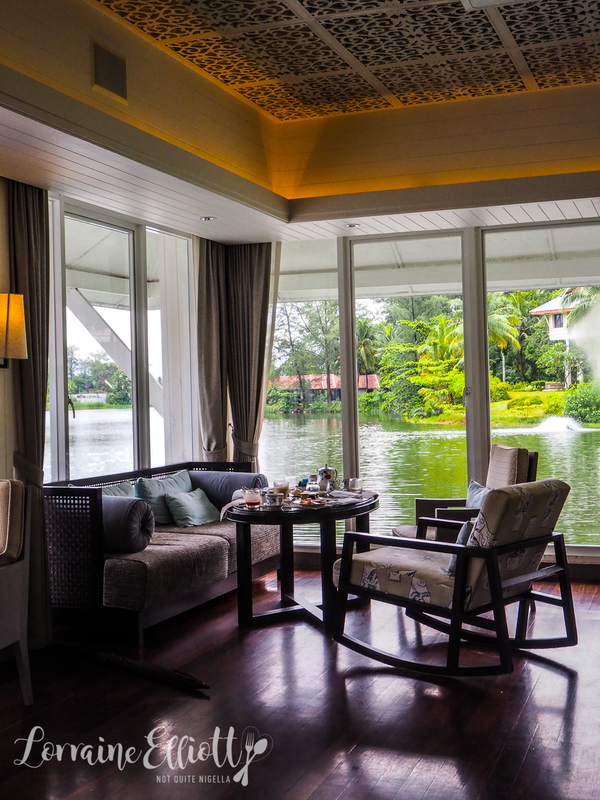 Breakfast at the Voyager 47 Club is a tranquil way to start the day. 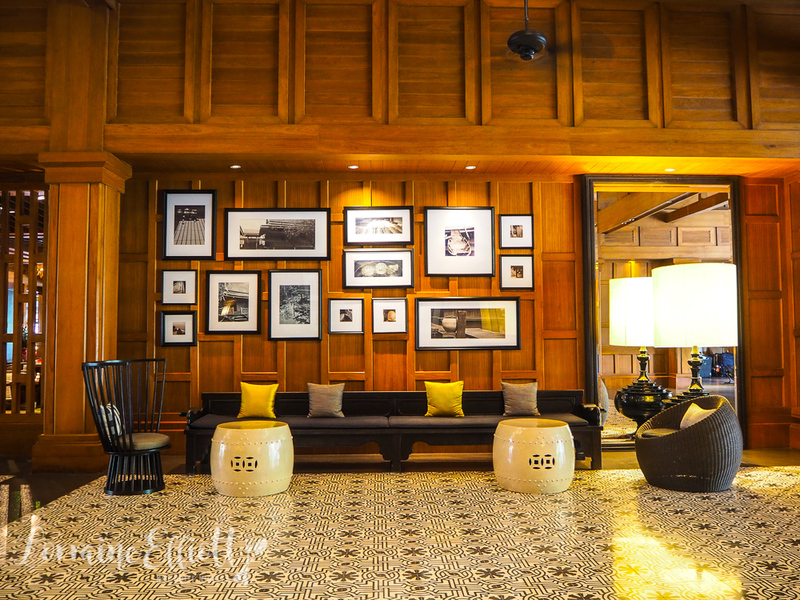 Named after the year that the Outrigger was founded, the atmosphere is serene and service deferential and it is one of the most inviting club lounges I have visited. I start with a latte and a selection of the hot and cold buffet food. I always love Asian breakfasts when I'm in Asia so I start with some chicken congee with ginger and some steamed soy fish and it hits the spot perfectly. 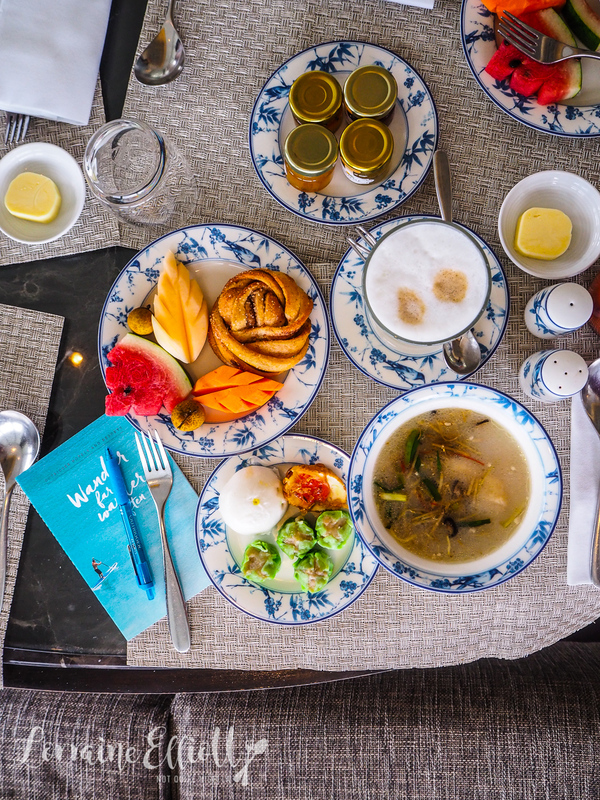 I pair this with some pork dumplings and bao as well as fresh fruit, pastries (the Danish born pastry chef is known for his superb viennoiserie). And then there's the Bloody Mary set up which makes me very happy-I mean anyone can have a Mimosa for brunch but I prefer a Bloody Mary. Before I know it, we've been enjoying breakfast for one and a half hours with no real need to do anything. 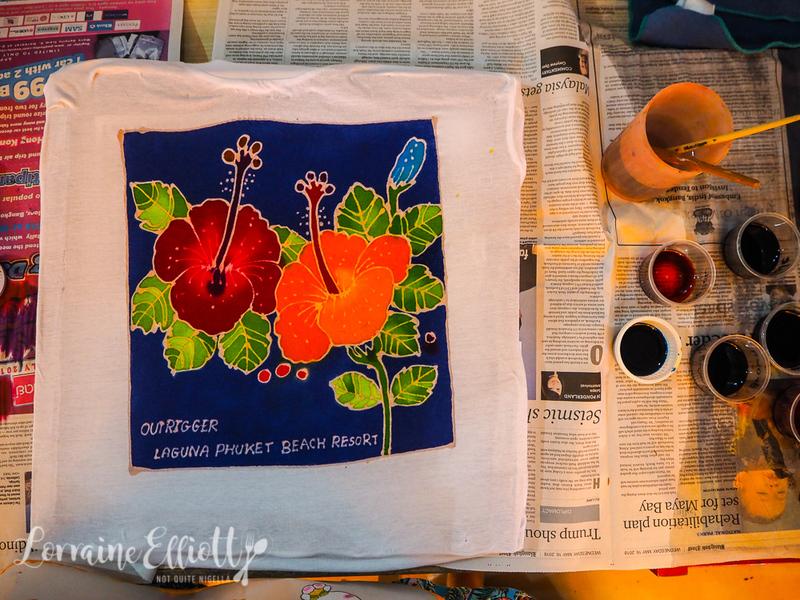 Except lunch and trying our hand at Batik t-shirt painting held in the kid's club. They have already drawn designs in wax so you just need to choose the design and size that you want. I have very little artistic skill so my design lacks subtlety but you can make your batik colouring graduated by brushing water over your solid colour and then dabbing at it with paper. It's relaxing and before we know it we've spent over an hour here. They'll deliver our batik t-shirts to us the following day. It's then time for lunch. 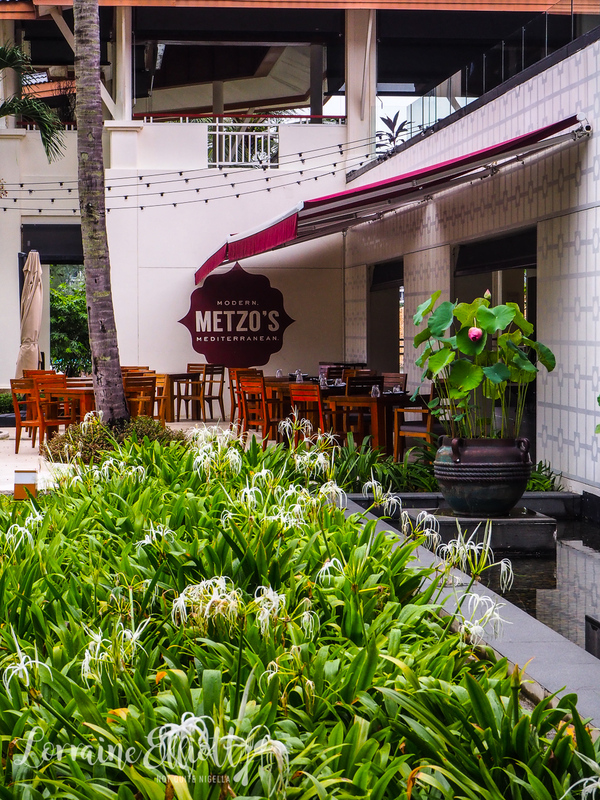 There are two restaurants at the Outrigger: Metzo and Locavore (A third, Edgewater is closed due to the weather). 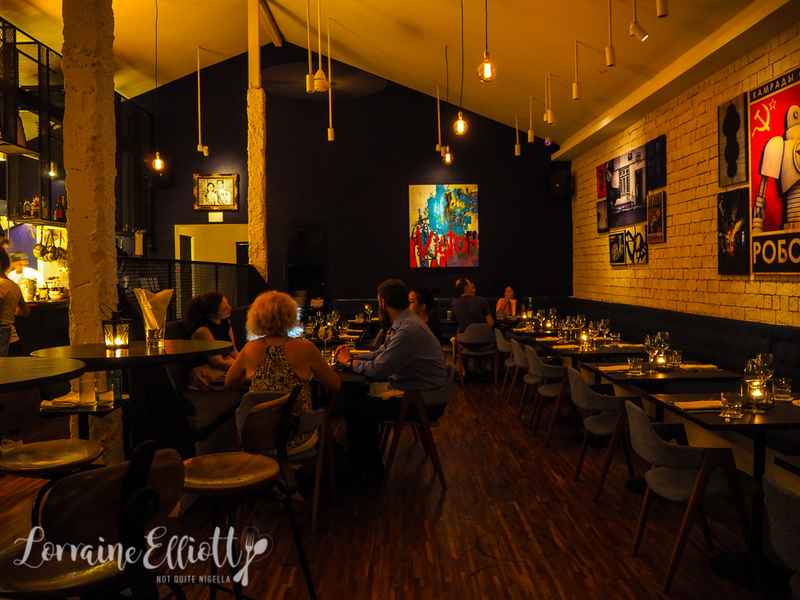 Mezzo is a Mediterranean restaurant with a range of Middle Eastern and Mediterranean dishes. We start with drinks-a Tropical Island pineapple drink for me which is perfectly refreshing with fresh pineapple juice, ginger and mint leaves. 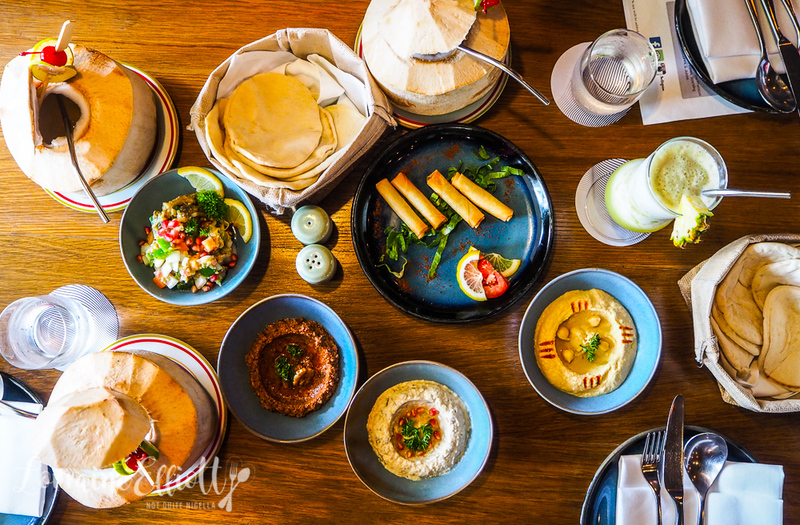 We then share a range of mezze with hummus, baba ghanoush, cheese rakakat, moutabal and mouhamara with warm flatbread. The dips are all good but the Mouhamara is a stand out and I ask for the recipe (stay tuned Dear Reader!). 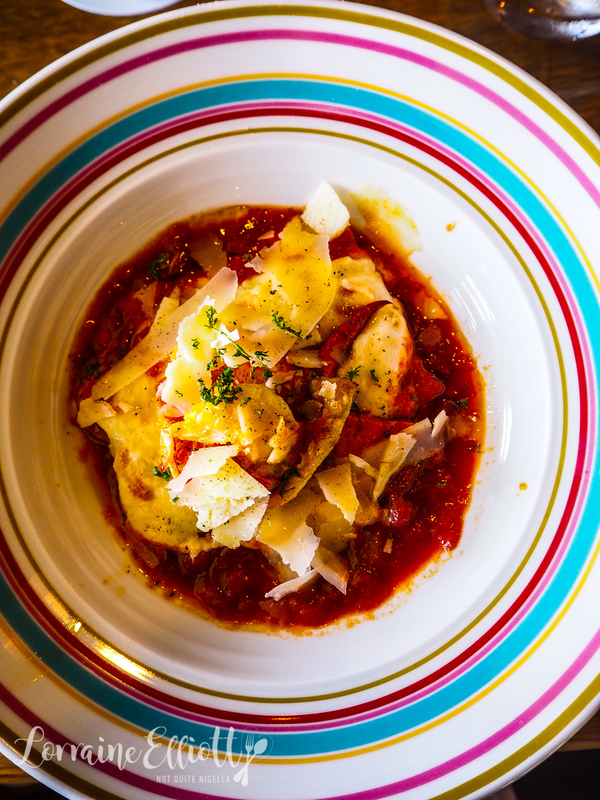 I then follow it with a lobster cannelloni which is a spinach and ricotta cannelloni topped with a good amount of lobster claw, plenty of tomato sauce and freshly grated cheese. The relentless rain of the season is not a concern because our next venture is to the Deep Relax spa for facials and massages. 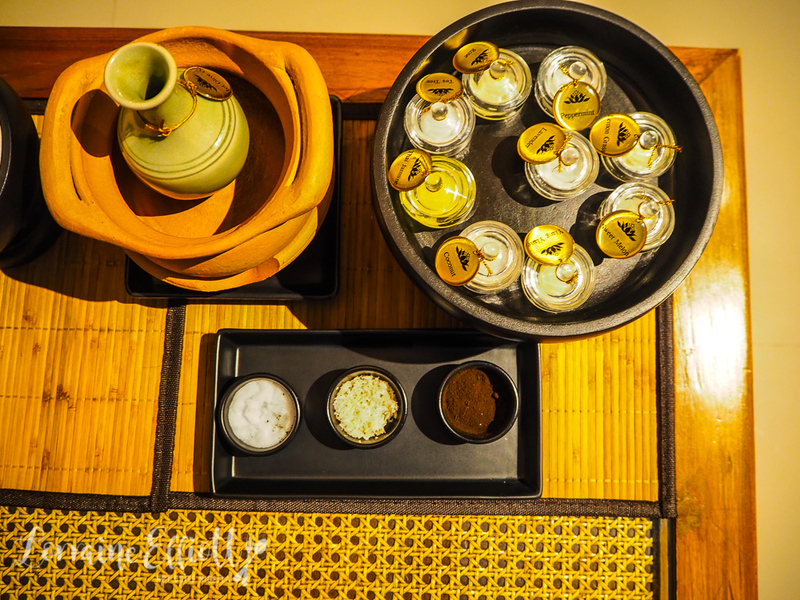 There is a small spa on the premises at the Outrigger Phuket but they have a partnership with Deep Relax spa that includes transfers to and from the spa. The spa mostly focuses on massages and they have one facial available, an anti ageing facial that also includes a hand, arm, leg and scalp massage and the application of a seaweed mask. It's very relaxing as the name suggests, especially with the sound of the rain on the roof. My skin glows afterwards (not its usual state!). 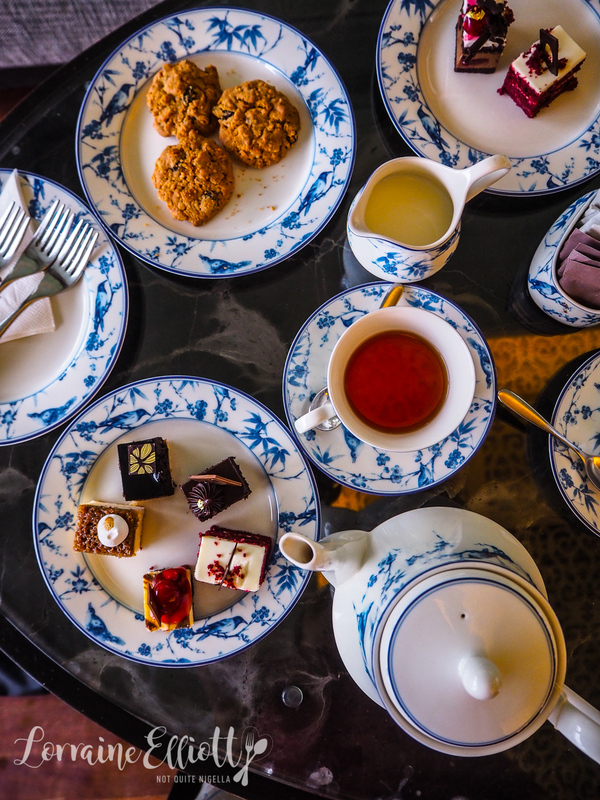 As soon as we get back, we are lured back to the club for a spot of afternoon tea including a range of nearly a dozen cakes, fruit and cookies. The rain continues to fall but are we bothered? Not in the slightest. After showering and making use of the day bed I marvel at how quickly time can pass when you're on holiday (and conversely how slowly time can go when you're doing something unpleasant). I head back to the Voyager Club lounge (again, I'm quite besotted) for canapes and cocktails. Whilst the club rooms do cost extra, if you make use of the club you can easily recoup the spend especially if you drink cocktails. I try a Mai Tai which is perfect for this weather as it's sweet and tropical. The Milky Andaman cocktail, although a slightly alarming shade of blue from the Blue Curacao, tastes mostly of coconut milk with pineapple and lime juices. 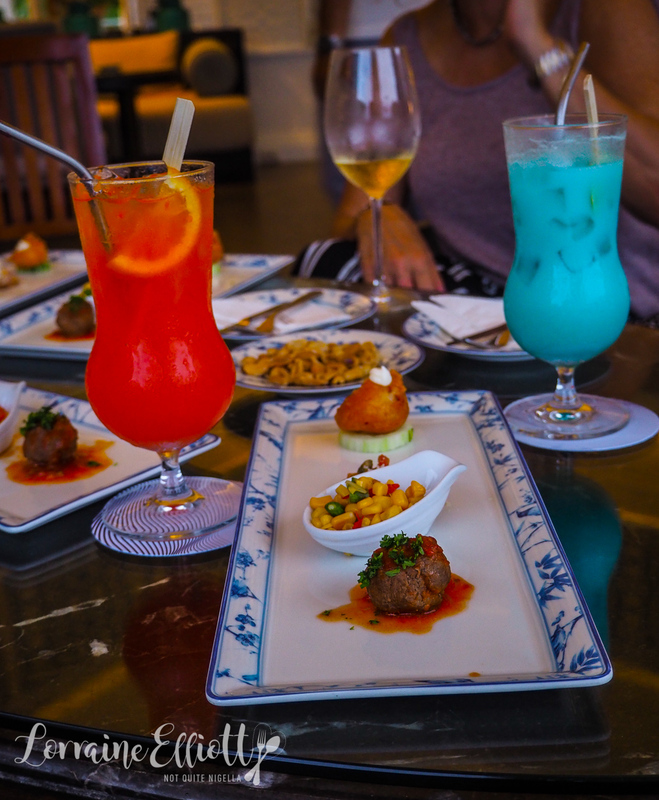 There are also paired with a tasting platter that includes a spicy Thai sweet corn salad, a crispy tomato bruschetta, battered prawn with wasabi mayonnaise on cucumber (my favourite) and meatballs with tomato gravy. People can also order more of their favourite canapes. After drinks and canapes we head upstairs to Locavore. There you can choose from a buffet or go a la carte. 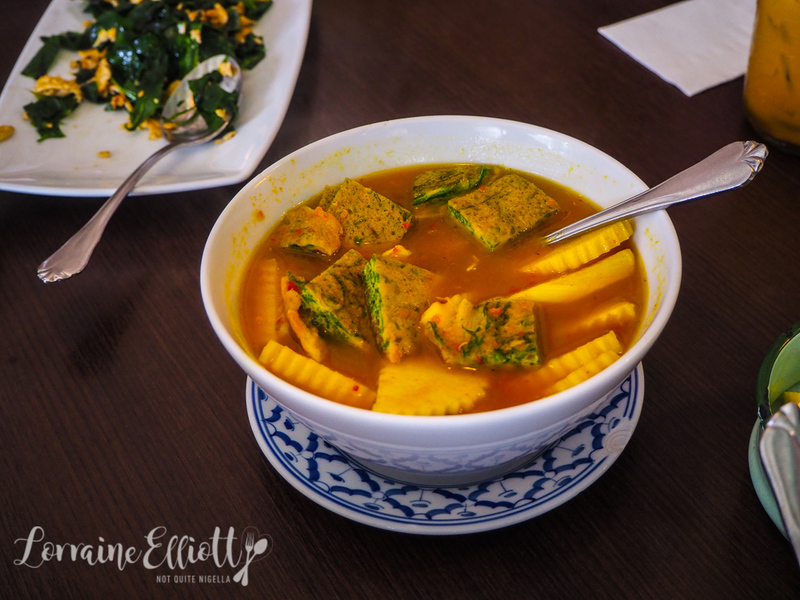 We all have a serious craving for Thai food so we go for the Thai selections. I'm a bit in love with their chicken and coconut soup. In fact I have to make a concerted effort to not finish all of the deep bowl of soup it's that good. It's perfectly balanced and creamy. 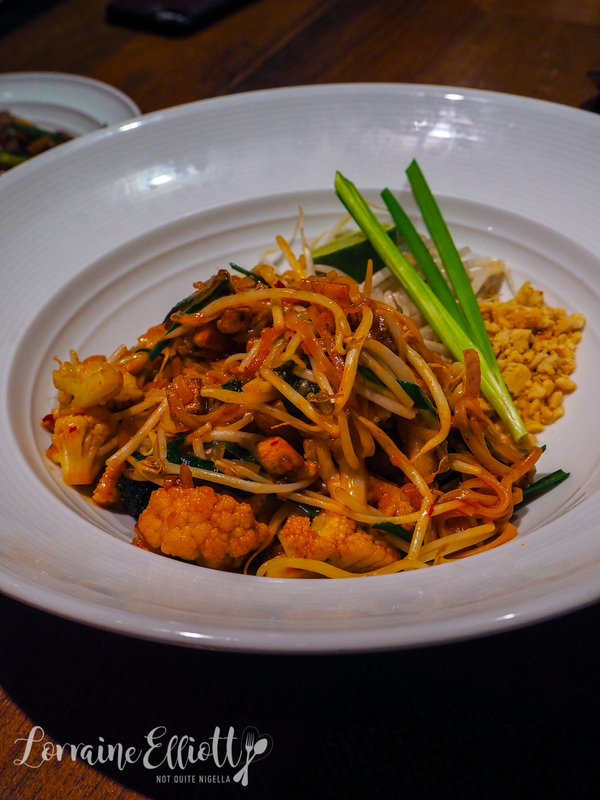 The pad Thai is sweet, not quite as sour as I've had and this is the vegetarian version with cauliflower in it instead of prawns. My favourite curry however is the vegetable yellow curry with a sublime yellow curry sauce. 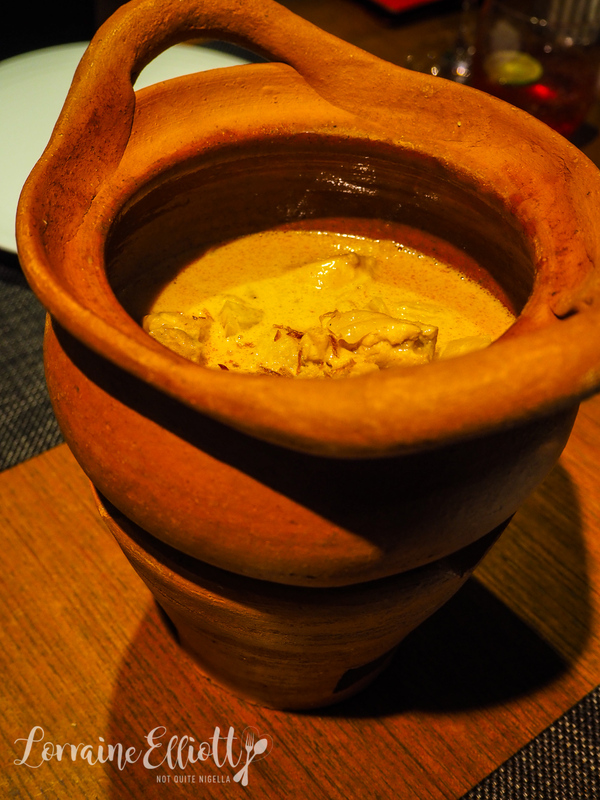 The chicken massaman curry is a close second. These are served in clay pots with tea lights to keep the curry warm. These with plenty of jasmine rice make it just the meal that we wanted. 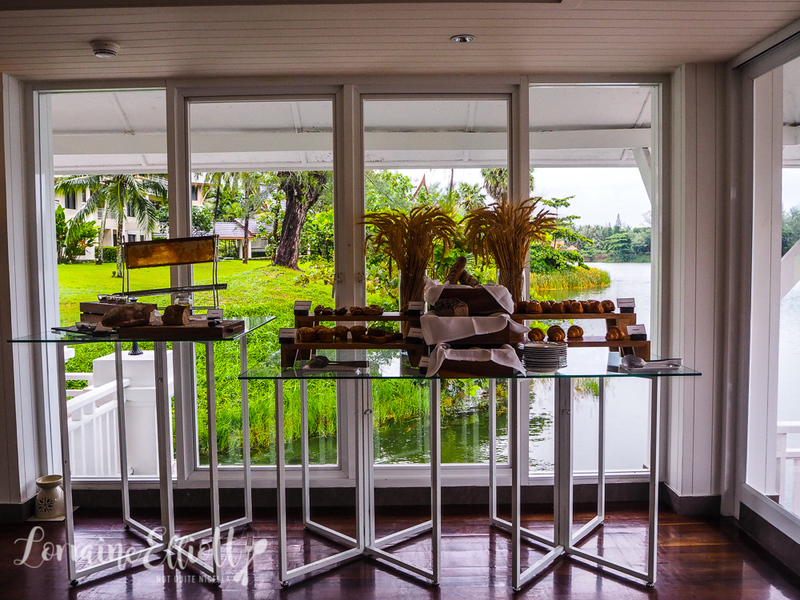 A la carte desserts are more Western style with some Thai flavours so we head to the dessert buffet for Thai desserts. The mung bean filled fruit, banana leaf wrapped coconut banana dessert and the coconut jelly and pandan squares are favourites. 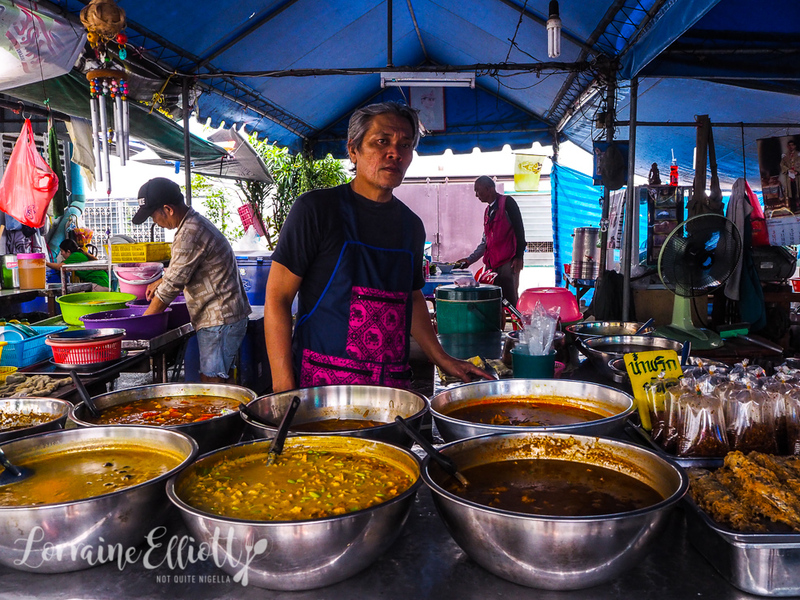 So tell me Dear Reader, have you ever tried that Phuket curry soup before? Did you know that the coconut had a heart? Do you try and book into club rooms for the privileges? 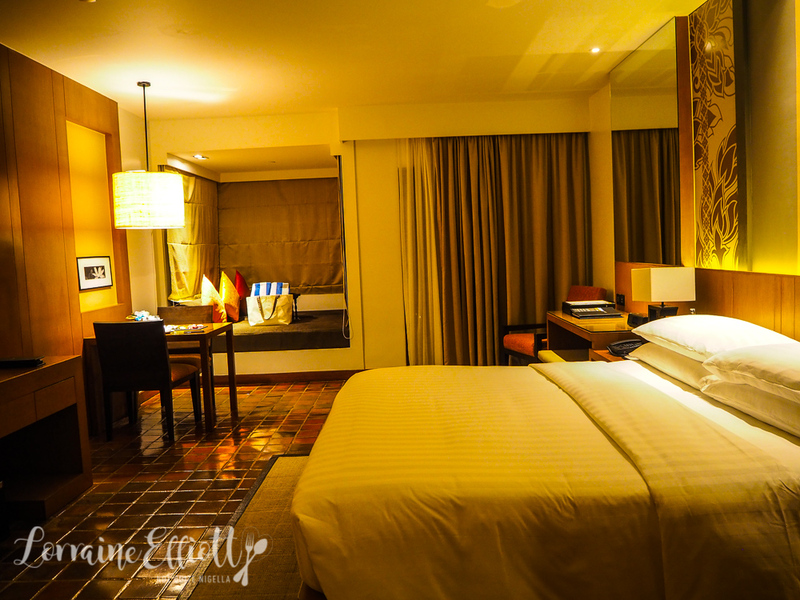 NQN was a guest of Outrigger Phuket but all opinions remain her own.